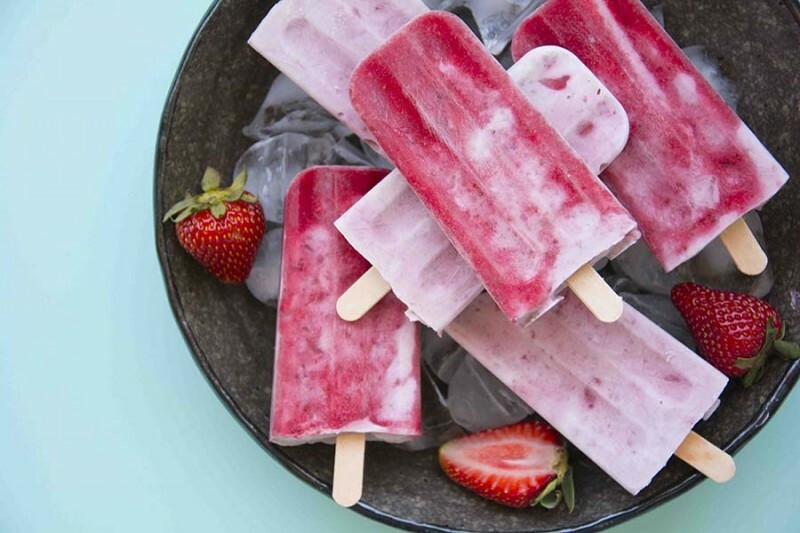 Cool off with this two ingredient popsicle recipe! Place 1.5 cups of hulled strawberries in a blender. Mix until liquified. If you hate pips, you can strain this mixture through a fine-mesh sieve to remove the pips. Finely chop the remaining strawberries. Pour the coconut milk into a bowl and add the chopped strawberries. Pour the strawberry purée into the coconut mixture. If you would like to decorate the outside of your popsicle moulds with strawberry purée, retain some and pour into the moulds. Swirl around to evenly cover the surface of the moulds. Pour the strawberry coconut mixture into the moulds. Freeze for 1 hour then add a popsicle stick into each mould. Return to the freezer for 3-4 hours, or until frozen solid. Enjoy on a hot summer’s day. Note: If you can’t tolerate coconut milk, substitute with a nut milk you can tolerate.